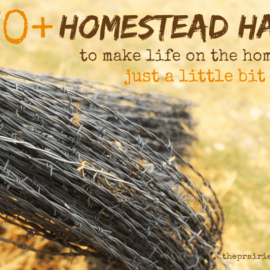 One of my most favorite things about the modern homesteading movement is that it is flexible. 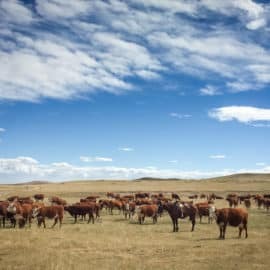 I use to think that the only way a person could ever be considered a farmer or rancher was to have thousands upon thousands of acres and make a full-time living off of their land. In the past, I’ve talked about the idea of being a modern day homesteader, no matter where you may live. An apartment, the middle of suburbia, or a couple acres on the outskirts of town. The sky is the limit these days. 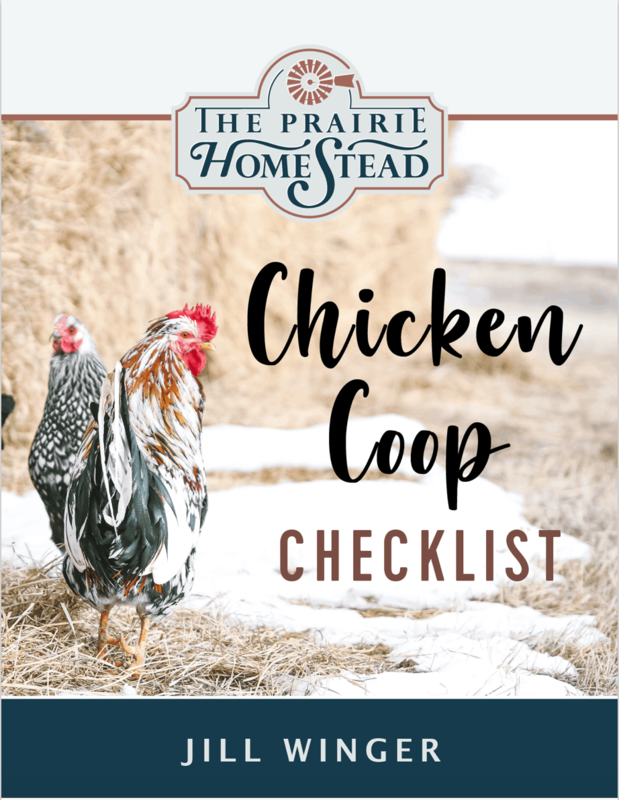 So, you’ve decided to call yourself a homesteader, you’ve named your fill-in-the-blank homestead, but now what? What does homesteading actually look like in an apartment? A tiny backyard? On one or two rural acres? For the next several weeks, I will be running a mini-series highlighting ways that YOU truly can bring your unique homestead to life. First up- the apartment homesteader. You are as “city” as it gets. You may be in the very heart of the urban jungle with asphalt as far as the eye can see. If you are lucky, you might have a balcony. If not, you still have lots of ways to become a homesteader! 1. Go crazy with window gardens! You can grow many, many herbs successfully in pots. I have very few sunny windows in my little house, so I had to get creative this spring, but it worked. Think outside the box. 2. If you have a balcony, turn it into a jungle of edibles. I love it when I’m driving through town and see an apartment balcony packed with hanging pots and container gardens. Plus, I can imagine that it provides a “back to nature” feel when you want to sit outside. Or, hydroponics is another exciting option for the apartment dweller. 3. Make your own cleaning supplies. A quick Google search will yield every sort of cleaning recipe you can imagine! Check out my recipes for homemade laundry soap, carpet cleaner, laundry spot remover, and all-purpose orange cleaner. 4. Forget the clothes dryer. This is a definite money saving option, especially if you are having to go to the laundromat. 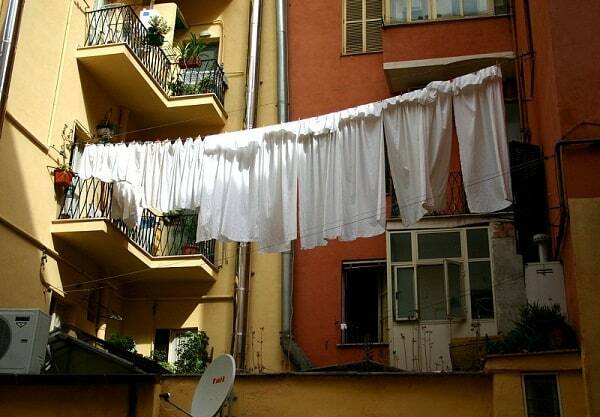 If your apartment regulations allow, install a simple clothesline on your balcony. If not, use a drying rack to air dry those clothes inside. 5. Take part in a Community Supported Agriculture program (CSA). Pay a monthly or yearly free and have boxes of fresh, local fruits and veggies on a regular basis. Some CSA’s even have a work option where you can go get some dirt under your fingernails to help pay for your produce. More info on CSAs and where to find one in your area can be found here. 6. Visit local farms and meet the farmers. In the process, you may even find sources for farm-fresh eggs and raw milk (if it is legal in your state. If not, check out your cow-share laws). Offer to volunteer and enjoy getting dirty. 7. Learn how to preserve food. Fill your freezer with extra veggies and fruit that you may have found at Farmer’s Markets, CSA, or U-Pick farms. Or, learn how to can and fill your pantry with homemade pickles, applesauce, jams, tomato sauce, and more. Here is my water bath canning tutorial and here’s my pressure canning tutorial. 8. Teach yourself to cook. Ditch the convenience food favorites of many city dwellers and break the mold. Learn how to create homemade breads, get creative with new veggies, and discover how to cook meat to perfection. If you have access to quality milk, learn how to make your own yogurt and cheeses– two time-honored homestead crafts. 10. Repurpose like crazy. Old-time homesteaders were brilliant when it came to repurposing common, everyday items–and you can do the same. Find creative ways to put common cast-offs like coffee grounds, eggshells, or sour milk to good use. Homesteading takes determination, drive, and a little bit of craziness, regardless of whether you are in an apartment or 200 acres. But, taking small steps to change your lifestyle can equal better health, a new found passion for life, new learning opportunities, and fun. Lots of fun. 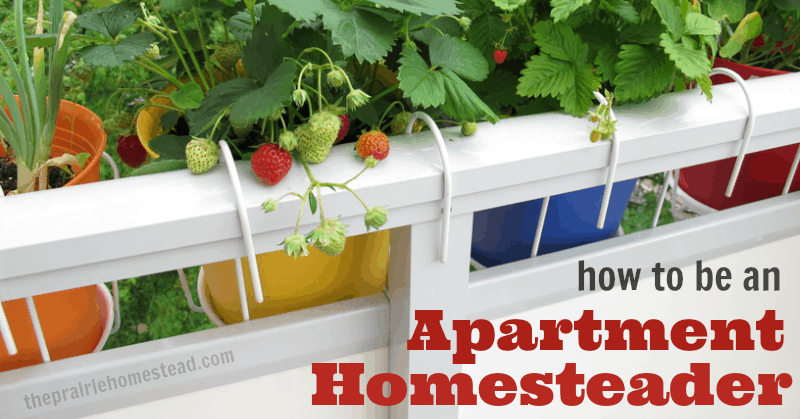 Are you an apartment homesteader? What tips do you have for bringing homesteading alive in the urban jungle? Great post, anyone can do it!!! I’m an apartment homesteader! I share my clothes closet with my canning pantry, my kitchen pantry is full of dried goods I put up and I have a mini chest freezer. Even though I don’t grow anything myself I put up a lot of food to eat throughout the year… it’s so much fun! Nichole- you are exactly what I’m talkin’ about! Keep up the great work! Hey Nicole that sounds great. 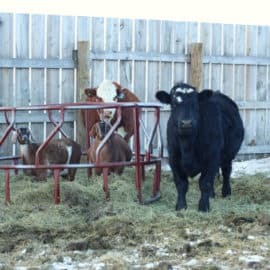 I’m an apartment dweller trying to get a start in homesteading as well. Anyone got any other tips for the apartment homesteader? I too was an apartment dweller some years ago and I got into trouble having a growing container on my balcony. They said it was not for heavy soil etc. I am glad I did not live there for very long. Just wanted to comment in case any of you chose to read and then do this, you might wish to check and see what they have to say. Also in gated communities and others you might have to check with the association as to if you can hang laundry or plant a garden. They often have strict and I think stupid rules. Good luck to all and I hope you can grow all you wish without anyone ruining it. I don’t have any idea of what homesteading is until I found your blog. The way you write in the last part of your post seems to me that you’re having fun with it. Nice post! Living in an apartment has its complications since there are so many regulations you have to follow. I try to make my pots and plants to look nice and aesthetic as possible even when my tomato plants get wild and grow like crazy. Besides different types of herbs, we have peppers and tomatoes. With a great harvest this year, we still have some tomatoes in the vines. We transformed our laundry room into a laundry/pantry room. tortillas but it is very rewarding. Mely- you rock! And yes, I would definitely consider you a homesteader. 🙂 Keep up the great work! They have some nice indoor aquaponics kits if you want to grow any “livestock” along with your crops. For instance this. Concerning neighborhood associations and their rules: talk with your neighbors. Find out how open-minded they are and/or what their interests are. Rules can be changed. The association was set up to serve the neighborhood, not the other way around. Excellent point AnnDenee- How wonderful would it be to get together with your neighbors to change the “silly” rules. Thanks for the suggestion! Great ideas! 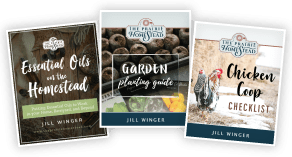 I love how this makes homesteading so accessible to so many people, no matter their circumstance. And, I have a crush on my Dutch Oven. Last night it was pot roast. Gotta love one pot wonders! I have always dreamed to be a homesteader and live in rural area. That has not happen yet. Besides watching the Little House on the Prairie to comfort myself, I have decided to learn some homesteading skills while I wait. So far, I have learned to make homemade yogurt (although I don’t eat it but my family loves yogurt and my hubby always call it “my huggy’s yogurt.” :))I made my own pizza crust. I tried making pie crust but have not quite mastered it. I made my own laundry detergent and cleaning solution. Baking soda is my new best friend. Oh yes, and we home school. This coming February will mark our 18th year living in this 800 sqt. condo. I am about to tackle the small side yard soon – that has been my stumbling block of gardening due to the six-foot outside wall being so close to the glass door, I feel closetiphobic sitting out there. One thing at a time. I have so much more to learn (and re-learn)but, life is full, so as my heart. I live in an apart that is actually in a town of about 600. I am lucky enough to have parents with a large garden (they are part of the local farmer’s market). I have friends who are farmers so I have access to vegetables my parents do not grown. My cousin has chickens so I trade for eggs from her. My oldest will be moving out at the end of the month. I have plans to turn her room into a storage/pantry including adding a 5.0 cubic ft freezer my friend is selling me for $50. Also I am getting shelving to house my canned goods in the closet. My cupboards are overflowing with sale items so much so that I one of my closets in the kitchen has three half shelves on one side full. My friend calls me a food hoarder. I call myself ready. If should run short for the month or something happen where I am able to purchase goods from a store, I will be in good shape for a good, long time. 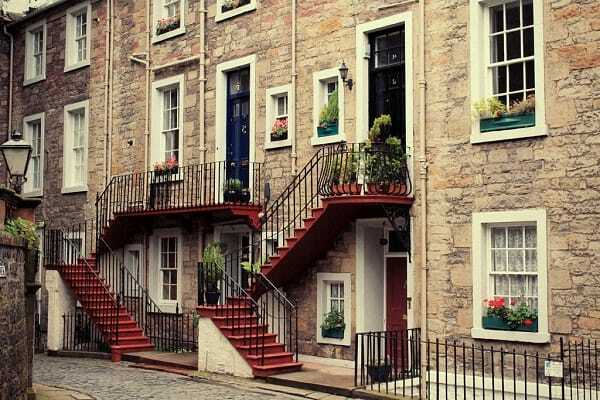 One cautionary word – fire escapes are not the same as balconies. You can get in a lot if trouble if you start putting things on those, totally aside from the safety risks if there ever is a fire. Thanks for the great tips. 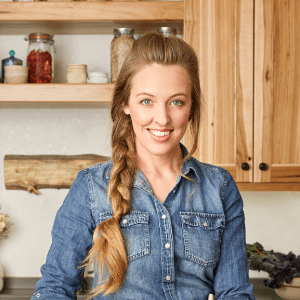 I love reading your blog–so much great inspiration for natural living. 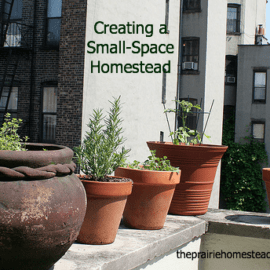 This article is particularly applicable since I live in an apartment, and homesteading requires much more creativity. From your article I see I’m already a homesteader, yay! A few years ago, I decided to start growing some veggies on my apartment balcony. The first year, we were overrun with tomatoes! Things are a lot more manageable this year. I’m planting tomatoes, amaranth, beets, salad greens and chili peppers. Just learned to make body butter/cream and toothpaste,wow. One learns new things everyday. Trying to learn how to make laundry soap. Yup, homesteading does take a lot of work but it’s oh so rewarding. 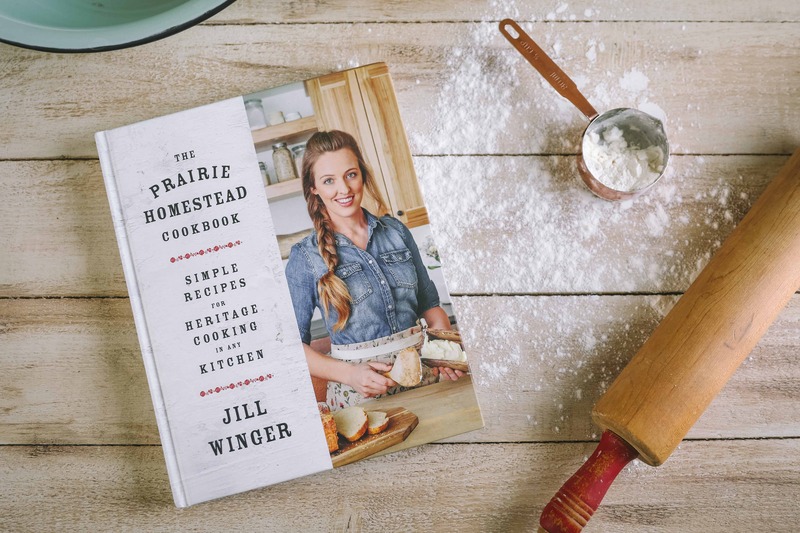 Sounds like you have a wonderful homestead– keep up the great work! This is a great post! I am just starting out on my homestead journey and my apartment is all I have to work with at the moment. But your blog has many great ideas even for those without acres. I’m hoping next year my boyfriend and I will be buying a house where we hope to raise chickens and a few goats. Your posts are great motivators and reference material. Keep it up, your blog is great!!! Thanks for the sweet comment Michelle! Sounds like you have a wonderful start to your homestead- keep up the great work! You are very inspiring! I too love Jesus and have homestead dreams. Right now I live in an apartment. Trying to convince my hubby we should move back to where our parents live and buy his parents land across the street from their old farm house, it would be perfect for a homestead! but alas I married a city boy, tehe, (my prayers and eye batting hasn’t ceased tho, tehe). I have always been a city girl as well, so I can understand his resistance. My mom grew up on a farm and that farm is still ran by her oldest brother. 🙂 i dream of having chickens and a milk cow, and a garden (funny the garden scares me more than the idea of a cow! ha!). 🙂 I am only 24, with no children, so I need to be patient. Trying to do the best I can now, grinding my own flour, trying to buy mostly organic (but it gets pricey), I make my own laundry detergent and toothpaste, homemade bread and tortillas and butter. I would love to learn how to garden and can! I may attempt to garden on our tiny apartment sized porch when it gets warmer…. I attempted some herbs this past year, and I kinda forgot about them :-/ OOPS! But I think fresh veggies will motivate my attention more (I hope!). i do have a question for you 🙂 I recently found a source for raw milk (not illegal to buy off the farm here), I got excited but then found out the milk is sold to a popular dairy in our area to be pasteurized and homogenized, and I remember reading somewhere on your blog you said you wouldn’t use raw milk from a place where they sell to mainstream milk companies. I was just wondering if you could elaborate on why you said you wouldn’t recommend buying from places that sell to the store bought milk brands? This is a small family farm, the milk is stored in a vat, we fill our own jars and pay using the honor system. the cows are grass fed and the cows freely graze all day, they are only fed grain while milking, they use no hormones, they do use antibiotics when needed but don’t save the milk from those cow/cows. It seems a better option than store bought milk, to me, but I am very new to this and wanted to get your opinion since I had remembered reading somewhere you said it was a no-no. However, if it is a family farm, and they are selling milk specifically for raw consumption, I’m betting you’ll be ok. 🙂 It’s just when people go grab a glass from a bulk tank at a large-scale commercial dairy that there is a BIG increased risk for sickness. Hope that makes sense–enjoy that milk! I am an apartment homesteader! I make my own cleaning supplies, sew my own cloth wipes, and am currently sprouting seeds in eggshells in my bedroom (it’s too cold to move outside yet). I enjoy making my own bread and yogurt and I have finally decided to learn how to can once and for all this year! I enjoy all of these things and CANNOT wait for a place with some land! Soon, I plan to try making my own butter as soon as I can get my hands on some raw milk. Thank you! I really needed this encouragement. I’m faced with an imminent move into an apartment. I was glad to see the new town has a community garden and there is a Chicken Lady nearby who sells beautiful, fresh eggs. I trust I’m not taking up too much of your time, since I can see your blog is BUSY! Therefore, let me get to the point. 1. We bought a piece of earth in a suburb which is large enough to do the homesteading thing. However, how do I address neighbours who looks down on you for being a earth-person? All our neighbours seems to indulge and be totally dependant on materialism, whereas I’m totally the opposite and i’m teaching my children to be the same. (I do have my fair share of basic materialistic needs, but that’s enough for me). 2. Is it possible to leave a job and live of my 1400 square meter land and still living comfortably from that 1400 square meter land? I think so, but how do I convince my husband to try it, since we have 4 children to think of, no surplus funds, and income is low. I’m dying at my deskjob and it feels that I’m neglecting my natural calling to be a mother to my children. Thank you for sparing the time. Kind regards. Your readers may not be aware that many towns have properties that have been seized due to tax issues. Some of these are sold very cheap. My wife and I just picked up a little over an acre for $500. This could be one way for people to slowly transition from the apartment life to their very own homestead. Excellent suggestion Wayne! Congrats on your new property too! I have a east facing balcony that gets direct sunlight. The problem in summer months there is too much sun and the heat kills my plants in the balcony. This has happened to me several times. Do you have any suggestions? Thanks. Thousands of acres? Oh, my. 🙂 I agree – apartment homesteading is available to anyone. When we started, we were in a dark little basement apartment – didn’t have a balcony or even any natural light. I think that everything published was very logical. But, what about this? hey write posst titles to grab viewers to click. about what you’ve got to say. Just my opinion, it would bring your website a little livelier. I just found your lovely blog today and simply wanted to thank you for the benefit of your experience.